Check our quick comparison table of all the GitHub alternatives and pick your favorite. There are a Few Good Reasons why GitLab is first on everyone’s GitHub alternative lists. It has and does everything GitHub does, but even better. It’s free (the Community Edition) and open source. You can self-host it on a cloud server, which means you get full control over your data. It also has a free hosted option, and several paid hosted options with more features. It has wikis, issue tracking, code reviews, releases, private and personal branches, time tracking features, and more. It has GitLab pages. Which is essentially GitHub Pages. Host your static websites for free. They started a movingtogitlab hashtag where you can get a huge discount if you tweet about your move. GitLab is loved by the developer community. Especially because it’s open source and open about what they do at the company. Remember their live stream? Worth noting that not all features are free. You can learn how to move from GitHub to GitLab here. You probably already know about Bitbucket, or some of the other tools Atlassian has to offer. It’s free, it’s easy to use, and it’s easily integrated with a bunch of other useful tools. Supports CI/CD, and it’s built-in. It’s closed source and proprietary. Has native software clients for Windows and Mac. It has a hosted (cloud) version, which has a free option, and a self-hosted version – which is a paid option. Has an integrated issue/bug tracking system. It’s free for 5 team members and offers unlimited private repos. Embedded Trello board support. Easily integrated with Slack. 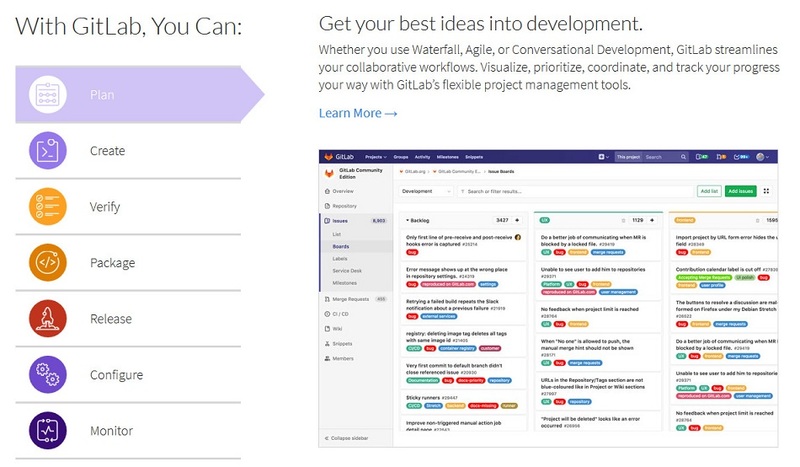 Easily integrated with Atlassian’s tools like JIRA. Bitbucket is a great alternative to GitHub as it has all the features you need. Read this tutorial on how to import a repository to Bitbucket from GitHub. 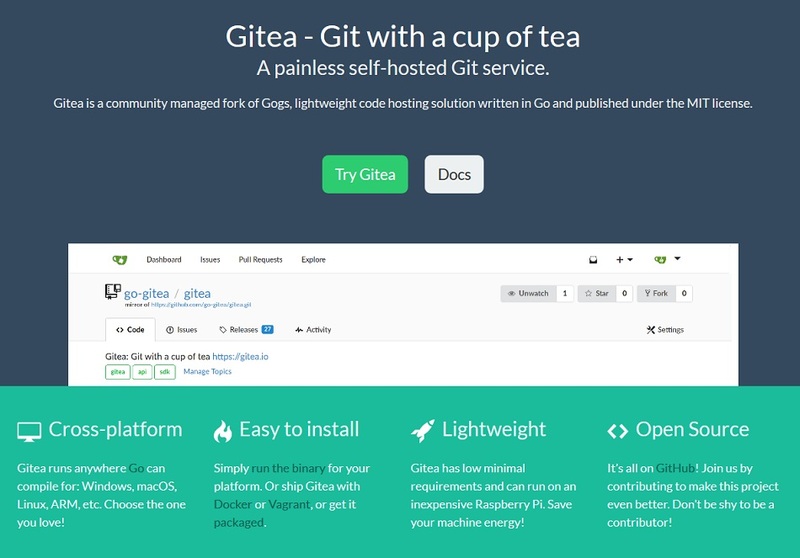 Gitea is the most lightweight git system which you can host on a $2.50 per month server by Vultr. It’s a community fork of Gogs (which is maintained by one person – the reason why we skipped Gogs and included Gitea in our list). Open source and maintained by the community. Very lightweight, which is a big plus considering it’s a self-hosted system. It has wikis, issue tracking, private branches, free client apps, pull requests support, and more. It’s often the first choice when it comes to self-hosted git software among developers. If you consider the cost of hosting, it’s not really free and doesn’t have a free hosted option. It’s a free and open source alternative to GitHub. The main reason why Phabricator users prefer it is the code review features. Free and open source. A hosted ($20 per month) version is available. Though you can host it yourself on a $5 per month server at Vultr. Supports Git, Mercurial, and SVN. A pretty similar git platform to GitHub, with all the features you need. Open source, free, and self-hosted. It’s free, open source, and self-hosted. So you get full control over your data. It has a repository viewer, support for pull requests, issue tracking, wikis, and most other features GitHub has. It has an extensive plugin system that you can use to extend GitBucket’s features. 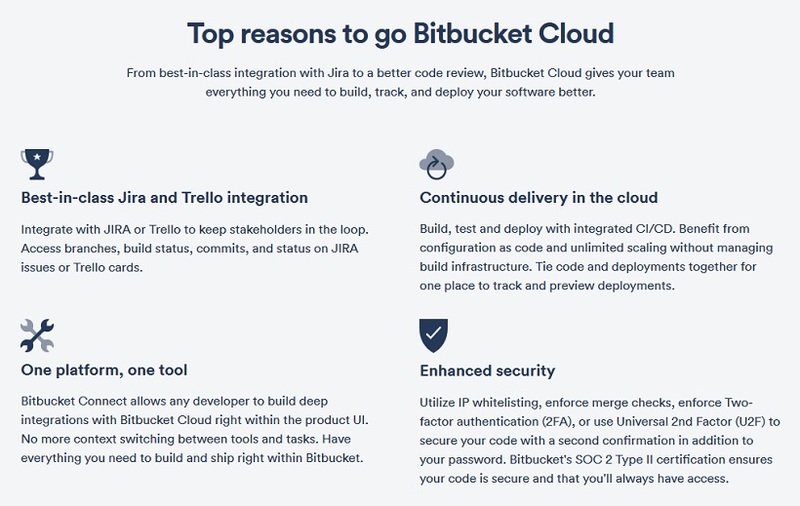 Not to be confused with BitBucket. 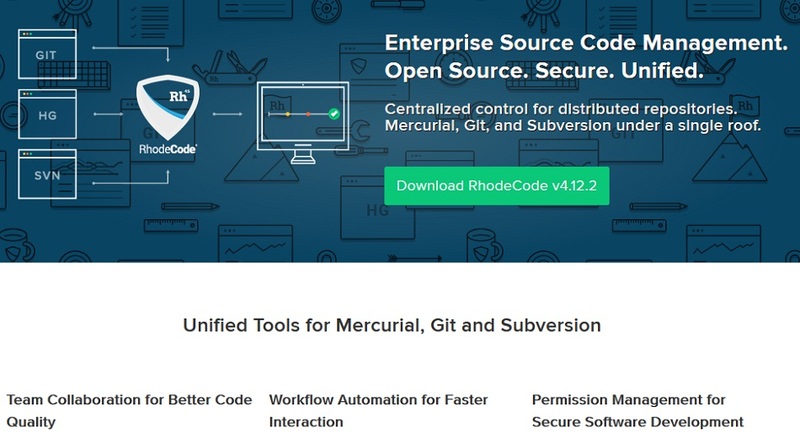 Another open source platform and a good alternative to GitHub – RhodeCode. They’ll do you two better – you can also use it for Mercurial and SVN. The community edition is FOSS and self-hosted. The enterprise edition is paid. Flexible code review system, pre and post commit. A customizable permissions system with inheritance and IP restrictions. Live chat (in code context), and live code-review notifications. Pull requests (common criteria compliance ready) support with update tracking and partial update diffs. Powerfull default reviewers and annotation based reviewer recommendation. …and more. Just google it. We intentionally skipped SourceForge. Though a good alternative, their history with malware and project hijacking made us think twice about listing them. However, they’re since past that and worked on improving their platform. It’s not definitive. There are more platforms and apps you can choose from, so do your own research. The facts we wrote are not full. Each platform has more features and facts about them that you should find out on their site. We’re open to suggestions. Have an idea how to improve our list? Leave a comment or contact us, and we’ll update it. Do I have to move away from GitHub? No! You don’t have to jump on the bandwagon of everyone moving away. However, it’s still nice to have options, and we gave you all the best options available. An alternative you mentioned doesn’t have ___, and GitHub has ___! Well, you can’t find a perfect alternative, which would essentially be a GitHub clone. Compare all the alternatives we featured and you’ll surely find a great fit. This is too overwhelming. There are too many alternatives. Which one do I choose? If you really can’t decide, either stay with GitHub or move to GitLab. What Makes a Good GitHub Alternative? There are many code hosting and git hosting sites. But what makes one a good alternative to GitHub? There are a few general guidelines and points to go through, which we considered when making this list. But in the end, it all depends on your requirements and what you consider the best alternative. Obvious things like the ability to host code and a git system are also considered. Other things that are considered are the community aspect GitHub has and the easy interface and client apps even for beginners. Also wikis, issue tracking etc. Have an alternative you’d like to give a shoutout to? Leave a comment below.